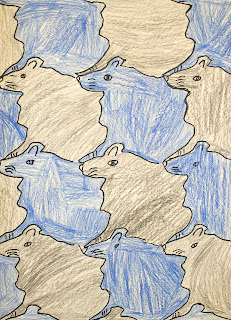 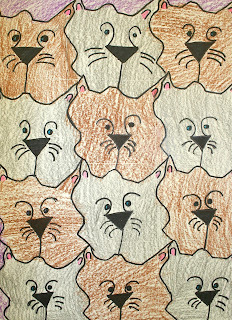 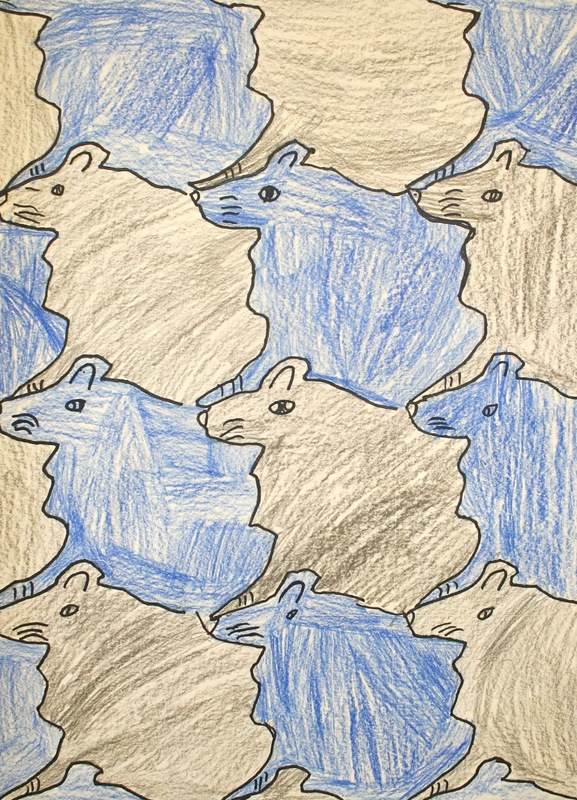 Tessellations are drawings created using shapes that fit together without any gaps or overlaps. 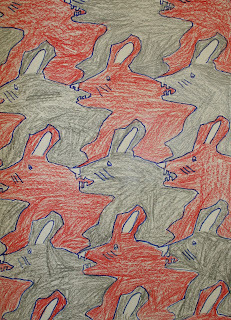 Similar to a jigsaw puzzle. 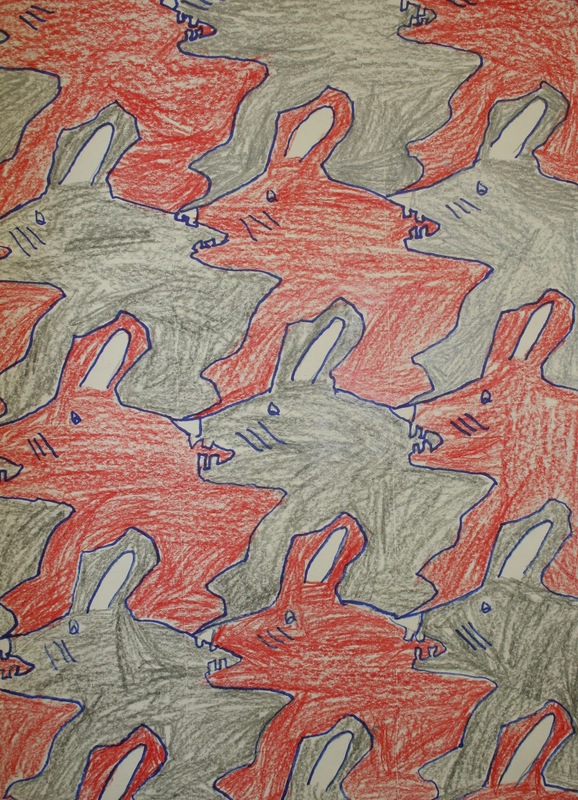 Artist, MC Escher, is considered the master of the art of tessellation and during his lifetime he completed thousands of these fascinating drawings. 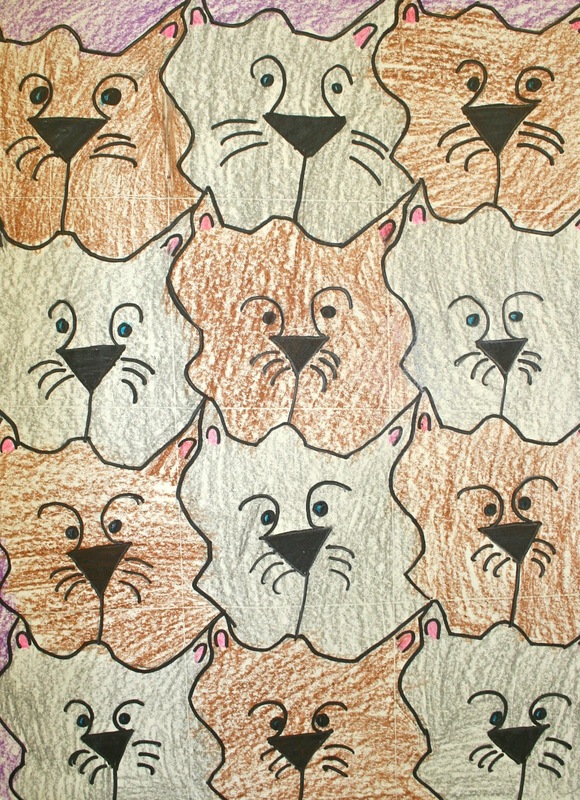 After spending time in class looking a number or his drawings the fifth graders were excited to find that by following a few basic steps they could create their own tessellating shape and use it in a drawing.